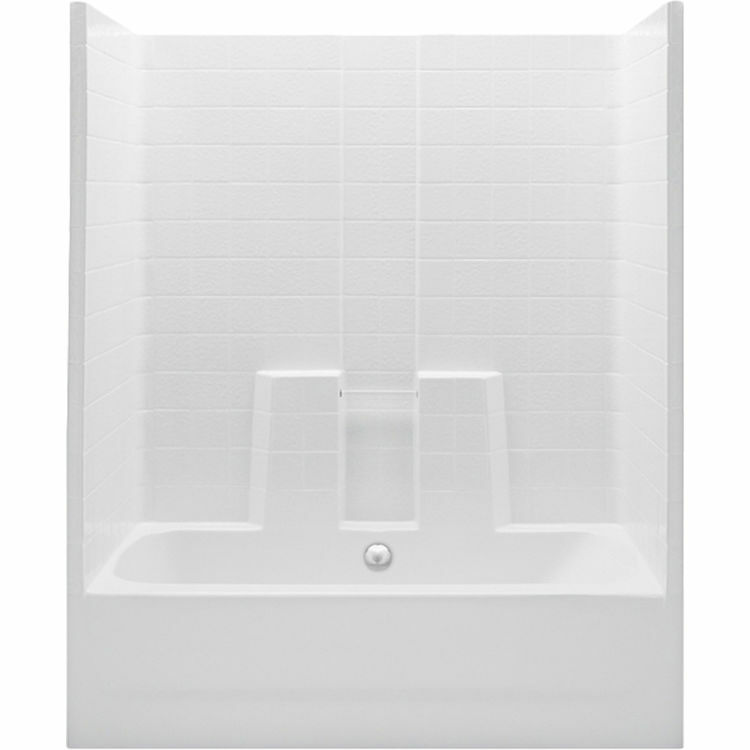 Aquatic Bath 26033CCTM-WH White 60"x30"x74" Texture Tile Tub & Shower Combo. This Aquatic Texture Tile Tub & Shower Combo is designed with beauty, durability and easy maintenance as the end product. This White Fiberglass Tub and Shower Combo is the best of both worlds, bringing the preferred features from tubs and showers and combining them into a, practical, everyday product. This Aquatic Bath 26033CCTM-WH White 60"x30"x74" Texture Tile Tub & Shower Combo features a high-quality gelcoat surface designed to resist water stains, chipping and scratching, multiple molded toiletry shelves, a slip resistant floor for added safety, and an ergonomic backrest for comfort when taking a bath. This Tub and Shower Combo is backed by Aquatics 5-year limited warranty. Shipping Dimensions 30.0" x 60.0" x 74.0"